Early reviews of CloverTrail devices are positive and that’s making investors and analysts sit up and take note. Deutsche Bank have just issued a note to their customers saying some very positive things about the platform and notes that it is competitive against ARM-based solutions. The research note, sent out on the 26th Nov, highlights some of the devices in the market now and mentions performance across a range of system benchmarks. DB won’t have done their own in-house analysis but they’re clearly keeping a close eye on reports coming out of the media. should begin to refute this concern. Deutsche Bank highlights battery life in their note and calls it â€œcomparable-to-superior inch to ARM-based Windows RT devices running on Tegra 3. 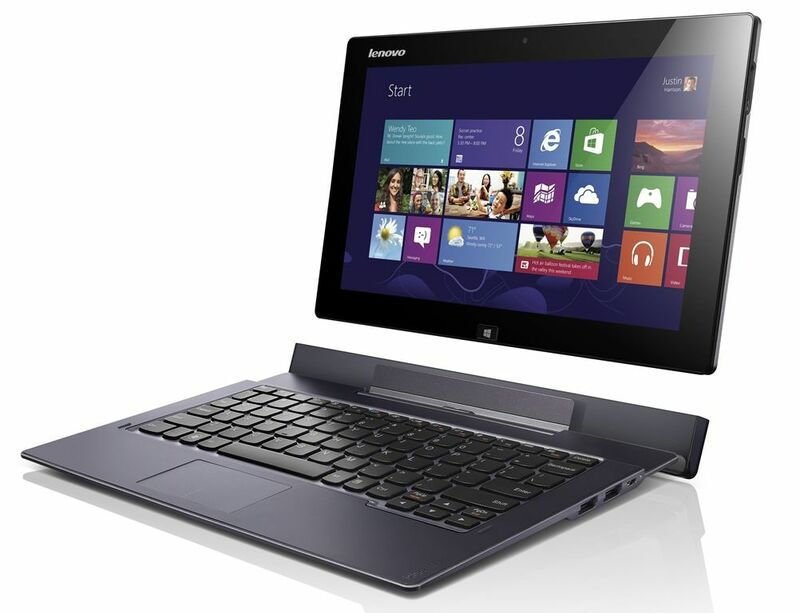 CloverTrail is the first Windows 8 tablet-focused processing platform from Intel. It’s also the first Windows-capable platform to implement the new low-power sleep states (S0ix) and as such, is the only x86 platform that can push Windows 8 to smartphone-like always-on states. In addition to that it has a new GPU, Turbo boost and new camera and video processing hardware. In short, the combination of CloverTrail and Windows 8 is nothing like the Atom/Windows experience we’ve had in the past. 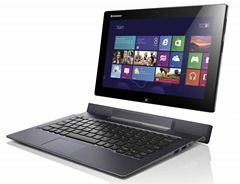 You’ll find a bunch of reviews of the Samsung ATIV SmartPC 500T in our database, check them out here. We’re working hard to bring you an in-depth look at a CloverTrail tablet and should have something for you next week. You can view all the CloverTrail devices currently in our database, here or here for a continuously updating list. Source: Deutche Bank via email. Do you trust a bank’s opinion on technology? Chief Economists at major international banks got it wrong for the ’08 melt down, and now they know about computer chips? Intel made it because IBM chose to use 8088 in the IBM PC (Model 6150 I think), instead of waiting for the Motorola’s 68000 (which was used by the Macintosh, Atari ST, Amiga, and many other personal computers in the same age). Then because Microsoft got the break to sell MS-DOS outside of PC-DOS, and IBM didn’t make their PC architecture “uncloneable”, MS and Intel made even more and better. In other words, Intel’s success has been directly tied to DOS and Windows’ successes. Now the world is full of mobile devices, so market has shifted, and PC sales has gone down. Intel missed the chance, and MS is trying very hard to regain lost grounds. If Windows loses market, so would Intel. Intel purchased most (but not whole IP) of the ARM design from DIGITAL Equipment (DEC), following the lawsuits, among other things. Then they made the various XScale mobile chips, and then they thought it wasn’t very useful so they “gave it away”. Intel could have ARM but they didn’t somehow find it good enough to keep. The biggest challenge for small and light is to getting Windows to loose weight, which is probably as difficult as for humans. Chippy, I like your site, and keep it up. But please don’t trust banks or grocery stores for opinions on techo stuff. I do think Intel will eventually catch up, as it has unlimited resources and has absorbed so many (DIGITAL’, PA-RISC, ARM etc) during various partnership or buyouts. It is just that Windows is still windows. Being competitive just means the cannibalization will eventually slow down and reach some sort of back and forth equilibrium. That quote seems like they’re implying sales are still increasing and cannibalization doesn’t exist. Too bad actual Intel chip sales has slowed significantly or stagnated for a while now. Just look up Intel’s earnings results. @Guy – Except that has more to do with the economy than the industry, people are just not going to invest that much right now and so pricier products are losing out for the time being. At least those that don’t really require replacing any time soon. Mind, unlike the mobile and tablet market the general PC market isn’t set up for rapid end of life and forced product renewal cycling. So it’s not yet a real concern that things are slow as PC replacement isn’t necessarily on a predictable time table all the time. Besides, what concerns banks and investors is long term trends and Intel showing it can rapidly adapt is a good indicator that long term may not be so bad after all and ARM is still only beginning to tap into the traditional PC market and Intel still has a few years before they really have to be concerned. It still remains to be seen of course how things play out but it’s safe to say it’s not an automatic lose for Intel at this point as it’s still possible for them to turn things around. well, simply said – once everybody needed a pc to have access to the internet. this definitely is no longer the case. so the money goes into the gadget market – mobile phones and tablets. not a stronghold of the couple microsoft/intel. these 2 just killed netbooks (without having a real replacement competitive enough with tablets, like they did with palm computing devices and other stuff in a not so far past. all these now the money making grounds ….of their competitors. and both are stubborn better knower’s than their customers, ignoring them all the time, trying to push them into directions suiting the needs of greed of these companies, not the customer’s real needs. latest move into this direction, ms trying to introduce an upgrade cycle policy where customers will have to pay them every year to remove the still existing bugs in their products. and btw each new version of windows was accompanied with a reduction of features …. sold as advantage to the people. Much of what you just stated is very debatable, reduction of features for example when each version of Windows has increased the number of features. It’s just that not all have remained the same and some features have been removed as others added. While MS trying to introduce a upgrade cycle policy may actually be a good thing. Really, it’s one of the things that make Apple stand out for example because it helps them provide better support and MS seems to be wanting to emulate them. Touting customer opinion is also very iffy because consumers all have differing opinions and needs, with the difference between major and niche often being a matter of opinion. While companies will generally always do what they consider in their best interest, and the reality is that regardless of our opinions of those choices the market will decide whether those were acceptable choices or not. Besides, this is about investment and unless you have some sort of moral objection to dealing with a said company then it’s simply a matter of whether that company will logically be considered to be a good investment or not. Right now, Intel isn’t failing at adapting to the mobile market and by all indications they appear to be set to rapidly advance into the mobile market over the next few years. A low powered Ivy Bridge solution is expected to come out before the 10W Max TDP Haswell. They’re heavily investing in improving their FAB and have even pushed down pricing as Clover Trail is pretty much price competitive with ARM at the moment and Intel is likely to push that further with their FAB advantage they presently hold over the other ARM manufacturers. Also, they’re not limited to just Windows as they’ll also run pretty much everything. If you’re into gambling maybe you should buy Intel stock anyway. It’s down 34% from its 52-week peak and down 19% YTD. There are some possible gains in the long run. Think of it as buying at a discount. that is the only reasonable argument considering intel and stock markets. @james – your reply is the reply of somebody working for the interests intel or ms, not of an interested customer or user. besides, maintenance (and thus protection of investment for the customer) was a stronghold of ms operating systems. that is exactly what they tend to break up now. so no use trying to tell me that this is an advantage. same is valid for the feature side of the os. it is simply ridiculous trying to sell such moves as improvements. and this is the most gentle way to say things. No, my reply is the reply of someone who isn’t biased. What’s good for the consumer depends on the consumer and we’re all different! You’re confusing what you prefer with what’s best for the consumer, but what you want isn’t good for everyone! A yearly product support cycle, for example, can actually be a good thing for the average consumer! Such services aren’t free to begin with and without revenue then the quality of support will always be limited. What you’re obviously not factoring is cost for support is continuously going up and product releases are being accelerated. Things like subscription based services put far more pressure on MS to keep things up to date instead of product releases every few years. While as much as anyone dislike companies like Apple, there is no question they have one of the best support provided by any company. So the business model works! What’s best for consumers in this case is providing the best service but the best service can’t always be provided for free! People want lower pricing for everything but companies have to make profit from somewhere or they’ll go out of business! So the reality is a balance has to be reached and reaching that balance is what’s actually fair! What you want would only result in continuing decline of service quality and long term product failure! So like it or not it’s not ridiculous! There’s potential pitfalls for sure, and MS could abuse it but that’s yet to be seen. Really, the whole thing is still at the rumor stage and you’re already set to persecute and defame them. While also lumping MS with Intel is also not really logical because Intel has it’s own interests and business model to follow and what happens with MS only deals with them in so much as their interests overlap. 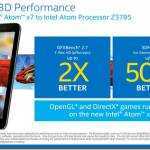 Intel, however, isn’t making just Windows PC’s! They’re making systems that run Linux, Android, and even OSX. Prices for products like Celeron, Pentium, and the latest Clover Trail ATOM have all dropped. Clover Trail even competes with ARM for pricing. So let’s not confuse bias with what’s actually going on! As someone who has owned the Acer Iconia W510 tablet with Windows 8 running on Intel Clover Trail, I can say that Clover Trail is pretty damned good! The battery life is amazing. Processing power adequate even in the ‘desktop’ interface and probably amazing in the Metro interface. WinTel have a potential winner. Bring it to Windows Phone and other small Windows-based tablets soon!